Fat Joe is one of those artists who have changed with the times, and largely for the wrong reasons. After all Fat Joe got his start in 1993, coming in with the dynamic Diggin In The Crates crew, which boasted a lineup that included Showbiz & AG, the late Big L, Lord Finesse, O.C., and producers Diamond D (who also rapped) and Buckwild. That’s one hell of a lineup of talent, and although they didn’t do much as a crew in later years, especially as the 90s came to an end, that’s still a great crew to be associated with. Whether Joe directly or indirectly distanced himself from them is unknown, once he got that first bit of commercial/mainstream acceptance (with the sales to match), he never looked back, and we’ll explore that in this post. 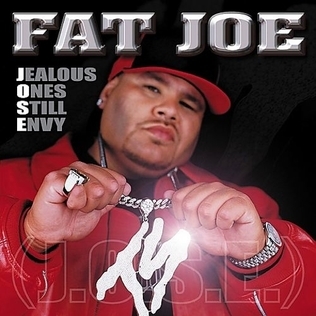 I don’t own this album (slightly surprising), however, with hindsight being 20/20, Fat Joe tried a little too hard on his debut, and it’s safe to say that this album has largely been forgotten in history and time. It was also released in 93, and with the amount of quality releases that year, you can see why it fell under the radar completely. Now here’s where Fat Joe stepped up his game. Lyrically, hands down, it’s the best thing that he’s ever done, and the superb production played a key role as well (DJ Premier, Diamond D, Joe Fatal, & Domingo laid it down). I’ve always felt his second album is his best, and I still feel that way today. He was the most inspired I ever heard and what resulted was his most refined work. Although it took me a while to buy this album, I still like it a bit. It’s very good, certainly NOT better than Jealous One’s Envy in any form. 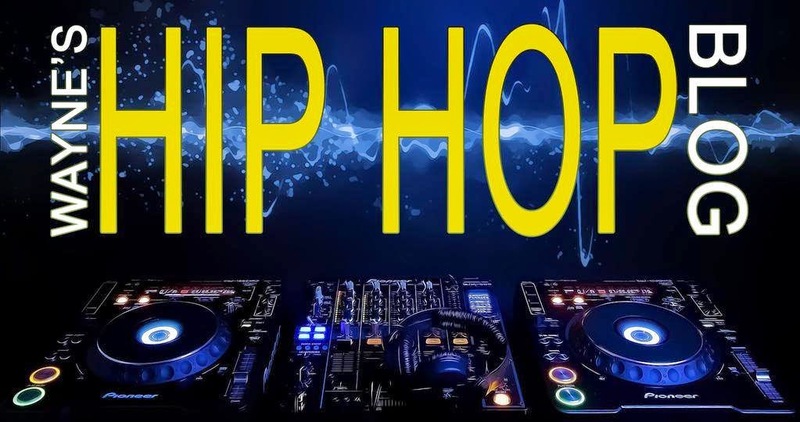 It’s also home to a great posse cut, the apply titled “John Blaze”, featuring a nearly dream team of high caliber MCs such as Nas, Jadakiss, Raekwon, and the late Big Pun. Another fact is, this album was released in 1998, and Big Pun’s “Capital Punishment” debut was released that same year, which definitely had a buzz surrounding it. Joe’s album on the other hand lacked a buzz, so I guess a change may have been needed. You can also listen to the album and clearly tell that Joe was aiming for a little more commercial success at this point, and by his next album, he would succeed. This album received mixed to positive feedback at the time, and that mixed feedback was largely because of the two commercial singles “What’s Luv” (featuring Ja-Rule & Ashanti, two artists who were frequently on radio and TV at the time) and “We Thuggin” (featuring R. Kelly, someone I don’t care for). Those two singles are not bad at all, but what Joe did is link up with three of the hottest acts in 2001 (and that includes Ja-Rule, lol) and it worked, which led to a platinum plaque. I don’t think that should be the exception to the rule all the time, but in Joe’s case, it worked, and he should’ve returned to form after this album. It would be a LONG time before he did so. Overall, the remainder of the album is just as good as, if not better than, “Don Cartegena”. 5 favorite songs- J.O.S.E., Fight Club, Definition of a Don, The Wild Life, & King of N.Y.
Coming after the successful “Jealous One’s Still Envy” album, one year to be exact, this album was a forgettable as they come. There are a few decent songs on the album, but nothing worthy of a revisit. This was released during his feud with 50 Cent in 2005, and I do recall wanting this album badly at the time, and to this day I’m not sure why, lol. I finally heard it in the middle of last year, and just like I suspected, I didn’t miss anything. Again, it’s decent, but nothing special or memorable about it at all. His later albums, “Me, Myself, & I”, “The Elephant In The Room”, and the poor excuse for a sequel “Jealous One’s Still Envy 2”, well, I never got around to checking any of those out. Joe was clearly changing his style to be a more commercial, Southern influenced artist (he even boasted on “Make It Rain”, a small hit, featuring the untalented Lil Wayne, “why everybody mad at the show for/switch ya style up, switch to South paw”, really Joe? ), and the results spoke for themselves, and they weren’t very good. When you constantly switch your style to fit current trends, which most of the time are not worth the time, money, and effort that goes into it, not to mention compromising yourself as an artist, that does considerable damage to your status. And before it slips my mind, “Lean Back” in 2004 was definitely one of his last hits, and even that song was on one of the Terror Squad’s album and not one of his own. In 2010, Joe surprised the hell out of me when he dropped this slept on album. The Just Blaze produced banger “I Am Crack” is what sold me on this album, and it’s his best since 2001’s “JOSE”. It still has its share of mainstream attempts, but overall this is as good as Joe is going to get at this point in his career (he even hooked back up with DJ Premier for "I'm Gone"), and it'll probably be one of the last very good albums he'll ever make. He also released a volume two to “The Darkside”, this time in the form of a mixtape, and it was nowhere near the quality of Volume 1. Currently, I’m not sure if there are any plans for Joe to release another album. I’ll be surprised if he does, and honestly I’m not checking for it. He’s had a mostly solid career, so I’m more than happy to just have “Jealous One’s Envy”, “Don Cartegena”, “JOSE”, and “The Darkside Vol. 1” part of my collection.